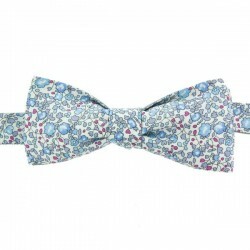 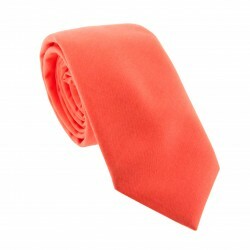 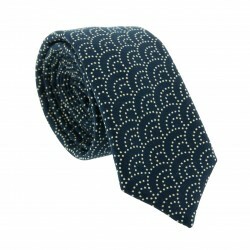 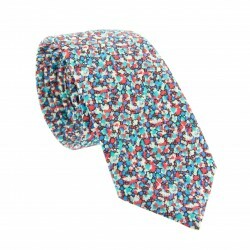 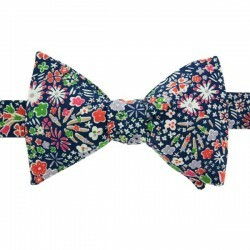 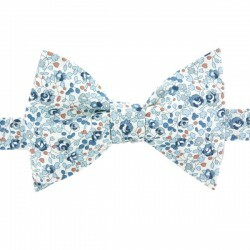 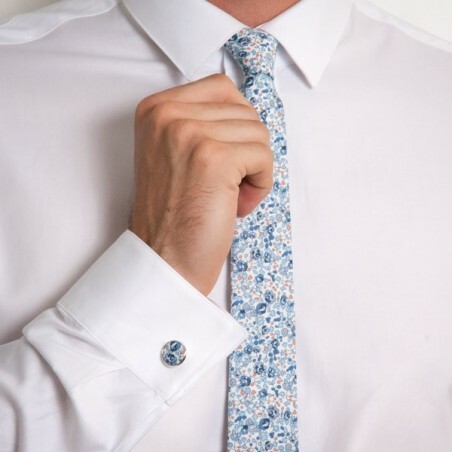 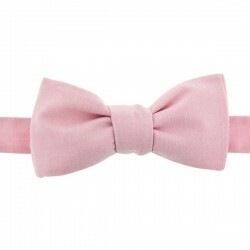 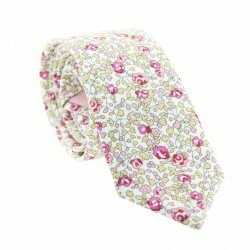 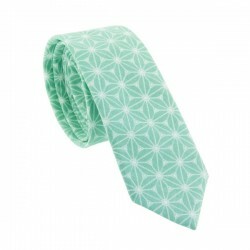 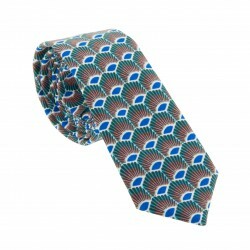 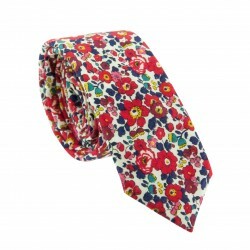 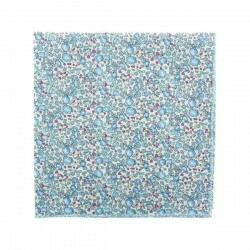 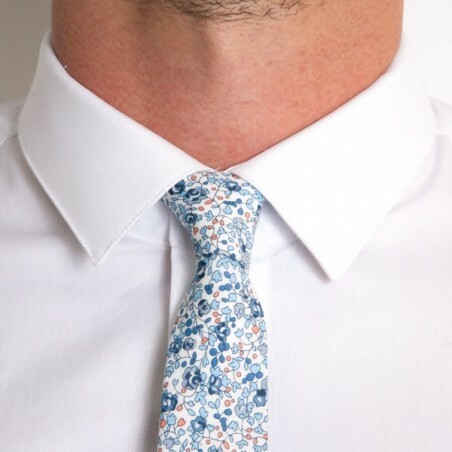 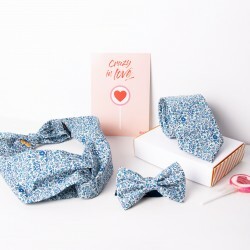 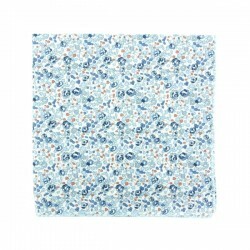 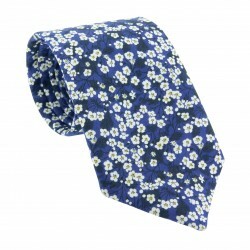 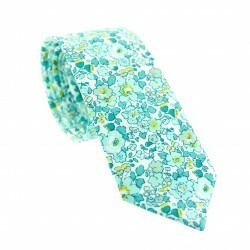 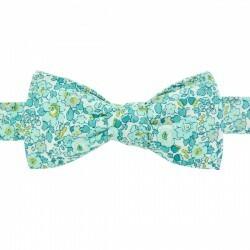 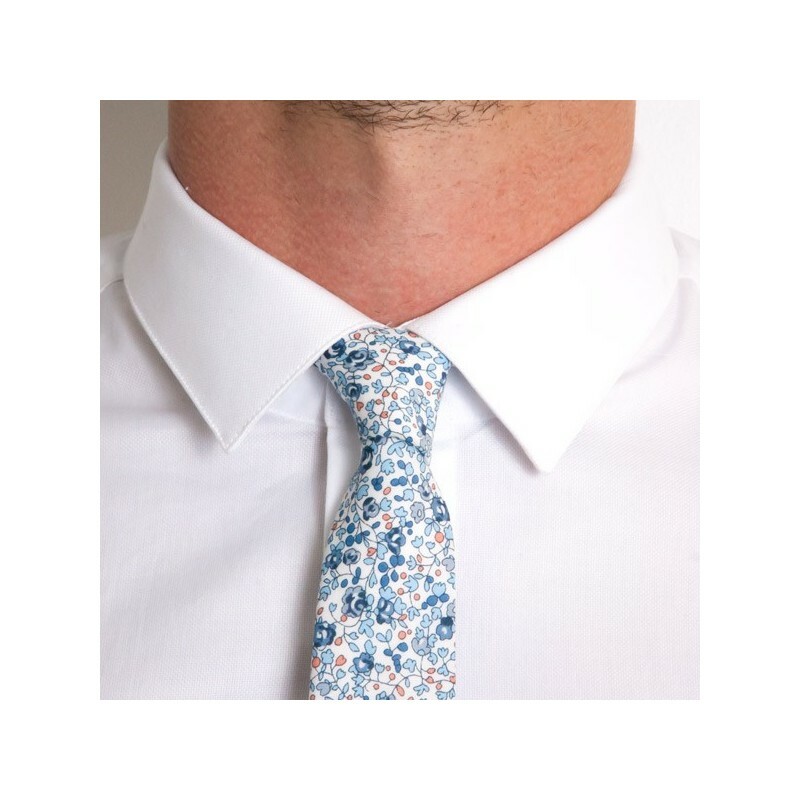 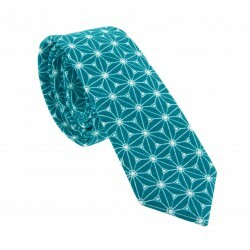 Our distinctive Light Blue Eloise Liberty slim tie is a nod to the swinging sixties. 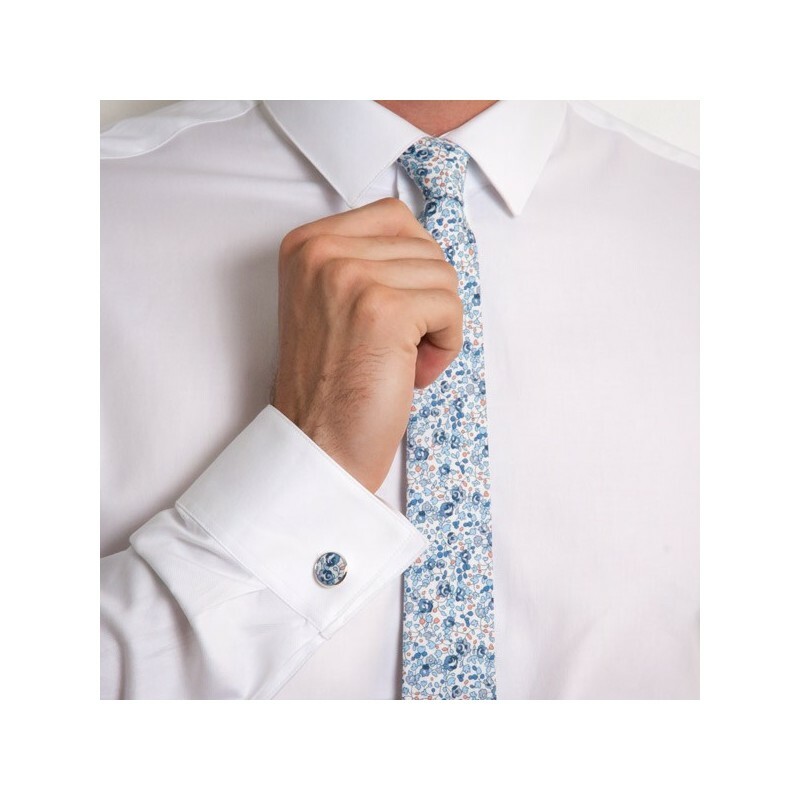 Reminiscent of that fun atmosphere and its optimistic style, the soft blue floral print with accents of pink on a white background will brighten up any look. 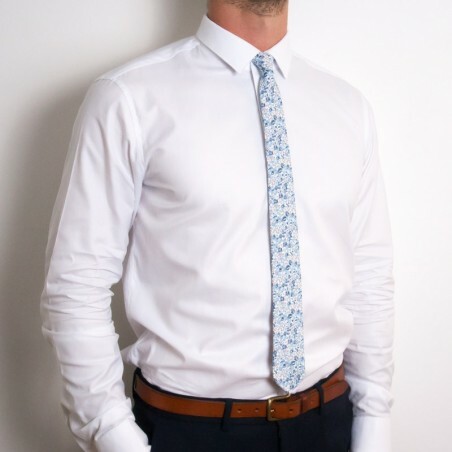 Add a touch of fun to a more classic look, and turn heads by pairing with a crisp, white shirt, navy suit and our Leather Brown skinny braces.